BALDWIN PARK – Margaret Heath Elementary School students honored their school’s namesake by bringing bouquets of flowers and bags of pennies to campus to celebrate Margaret Heath Day in a special ceremony on Oct. 5. Continuing a tradition that began in 1951, Margaret Heath Elementary students presented pennies – donations from their families and neighbors – to help fund a scholarship named in Heath’s honor. Margaret Heath was a longtime educator, administrator and volunteer for the Baldwin Park Unified School District. The Heath Scholarship is granted every year to a Heath alumnus to help pay for college. 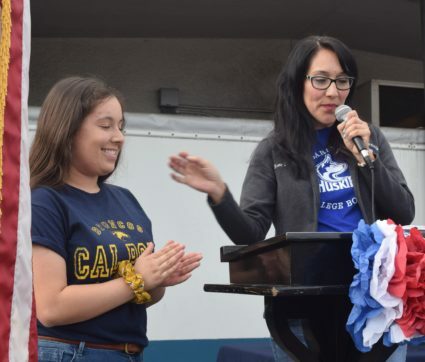 A $500 scholarship was awarded to 2018 Baldwin Park High School graduate Olivia Real. Real is studying animal science at Cal Poly Pomona, with plans to become a veterinarian. Real’s mother, Esther Vargas, is a Margaret Heath kindergarten teacher. After Real received her scholarship, Heath students stood up and presented her with a Cal Poly Pomona Bronco cheer. During the ceremony, sixth-graders took turns telling the story of Margaret Heath, who was born in 1860 and became principal of Central Elementary in 1913. After Heath retired, Baldwin Park Unified dedicated a new elementary school in her honor. Margaret Heath Elementary opened its doors in 1927. Heath continued to volunteer at the District and, on her 85th birthday, suggested a scholarship for Margaret Heath Elementary alumni. The inaugural Margaret Heath Day was held in 1951. Heath passed away in 1952. Heath students recognize her legacy as one that encourages hard work and diligence as a way to realize their dreams of going to college and finding their dream job. After the scholarship presentation, students donated dozens of bags of pennies, which were wrapped in the school colors. Students then recited the Heath Huskies creed and clapped their hands in unison. BPUSD_Heath_1: Margaret Heath Principal Dr. Maria Alonso stands with Heath scholarship winner Olivia Real. 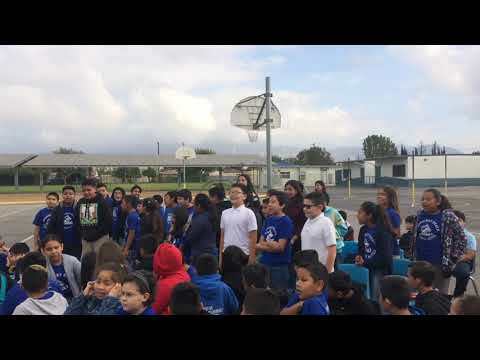 BPUSD_Heath_2: Margaret Heath Elementary students celebrate the legacy of their school’s namesake, a longtime teacher, administrator and volunteer in the District. 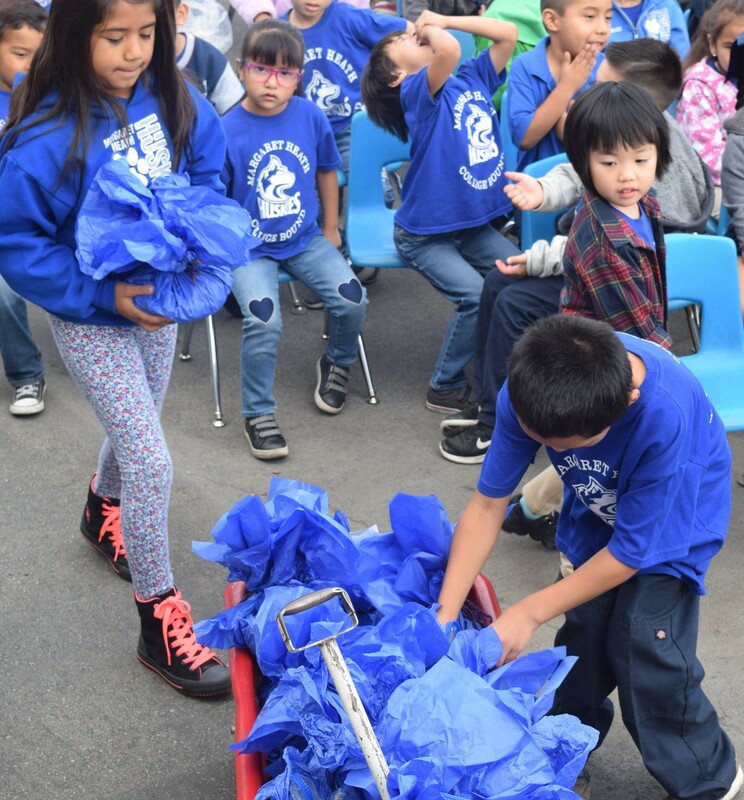 BPUSD_Heath_3: Students at Margaret Heath Elementary collect bags of pennies used to fund an annual scholarship in the longtime educator’s name. Margaret Heath Principal Dr. Maria Alonso stands with Heath scholarship winner Olivia Real. 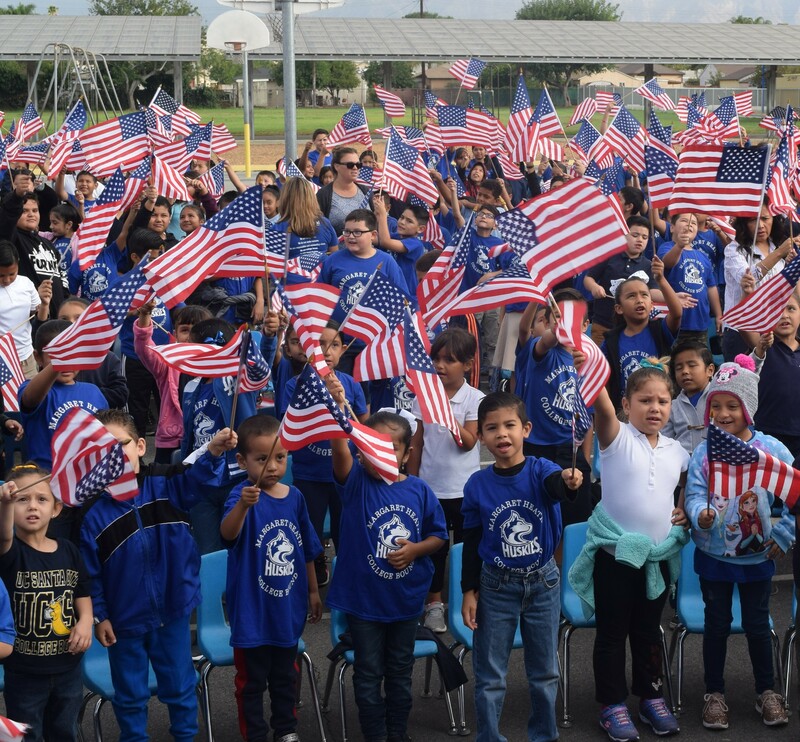 Margaret Heath Elementary students celebrate the legacy of their school’s namesake, a longtime teacher, administrator and volunteer in the District. Students at Margaret Heath Elementary collect bags of pennies used to fund an annual scholarship in the longtime educator’s name.